I found that direct drive extrusion with long bowden tubing created enough torque to make my stepper motors skip with the standard Pololu drivers. No current adjustment would prevent the skipping. Thus, I ordered some 5:1 geared steppers. Upon receiving my steppers, I found the bolt pattern was different and the shaft diameter and length were different. 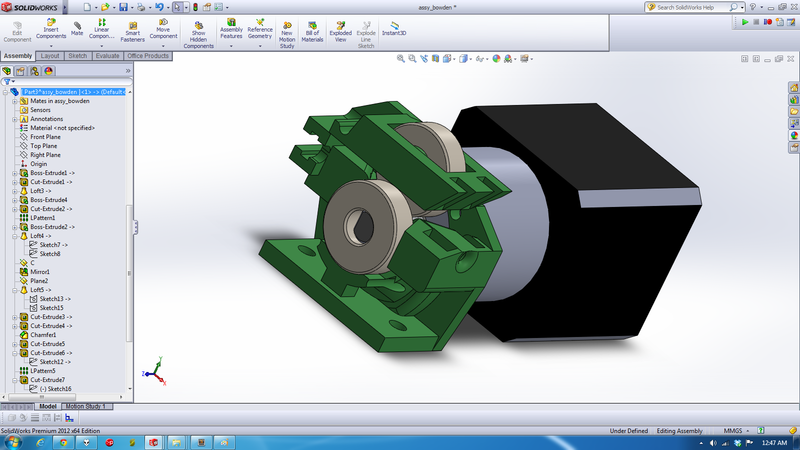 I have hence designed a new extruder, similair to airtripper’s.